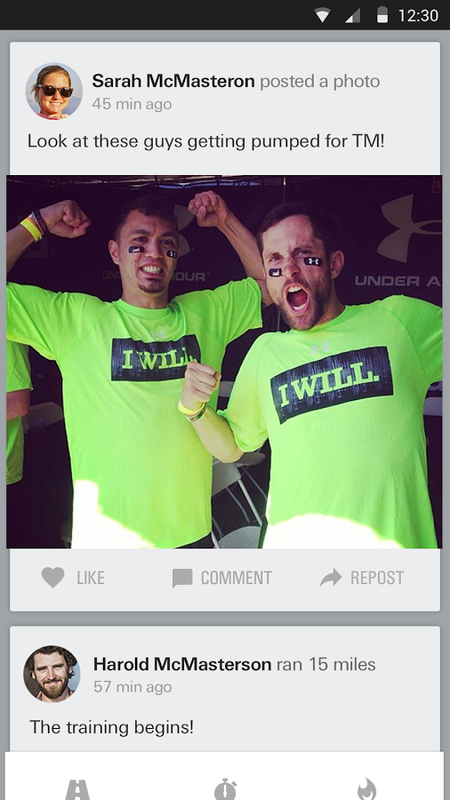 Quick, imagine the typical Under Armour customer. Go ahead, I'll wait. Now imagine which phone he or she brings with them to the gym. Are you imagining an HTC One M8? No? Well both companies would probably like you to, at least after their joint announcement at CES. HTC has joined up with the well-known clothing brand for a cross-promotional program centered on Under Armour Connected Fitness, a health tracking service that's comparable to Nike Plus and other competitors. The first step is Under Armour Recourd Record, an iOS app that's been ported over to Android and is now available on the Google Play Store. It's a pretty standard fitness tracker, with inputs for steps, sleep, and various workouts, centered around a UI designed by Under Armour. It also includes an integrated social network for like-minded exercisers. The app description is... interesting. Track, analyze, and share your fitness activity with the world’s first social network for athletes and fitness enthusiasts. Runkeeper, Runtastic, and Endomondo would like a word. HTC and Under Armour's press release indicates that the phone manufacturer is designing specific products to work with UA Connected Fitness, though it wasn't clear on whether this includes phones and/or accessories like smartwatches and fitness trackers. The app is available for all Android devices (not just HTC hardware) running 4.0 or later. Today Under Armour (NYSE:UA) unveiled UA Record™, the latest addition to the world's most comprehensive health and fitness network, at the Consumer Electronics Show in Las Vegas. 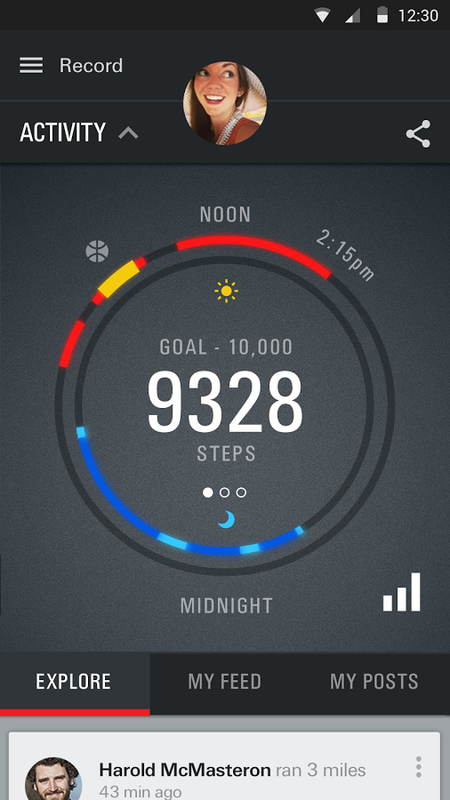 UA Record simplifies your personal health data with fitness activity tracking tools, connects you to your digital community and keeps you synced with your fitness goals 24/7/365. It's available now for download on the App Store or from the Google Play™ store. "UA Record offers everyone of all fitness levels the ability to proactively manage their health and fitness," said Kevin Plank, Founder and CEO, Under Armour. "By syncing the thousands of fitness tracking devices and apps onto its open platform, and creating a visual dashboard of your data, UA Record is a simple and empowering tool designed to help people lead healthier and more active lives." Data features include motion and GPS activity tracking from mobile sensors and third party devices, analysis from individual workouts and a total snapshot of your progress - including steps, sleep, caloric burn, heart rate and weight. Members can invite up to 20 friends within their network to compete in customized health and fitness challenges centered on specific goals. Challenges are based on workout count, total distance, total steps and calories burned. These daily, weekly or monthly competitions provide real-time updates, leaderboard progress and an open conversation forum for group participants. The ability to share content, such as videos, photos and workout stories is built into the app along with access to original content on nutrition, training methodologies, injury prevention and more directly from leading health and fitness experts. 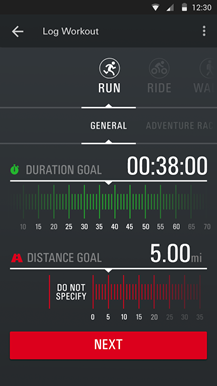 Employing the Under Armour Connected Fitness™ API/SDK platform (developer.underarmour.com) ensures that a wide range of devices and apps will directly sync with UA Record including Armour39® and MapMyFitness®. 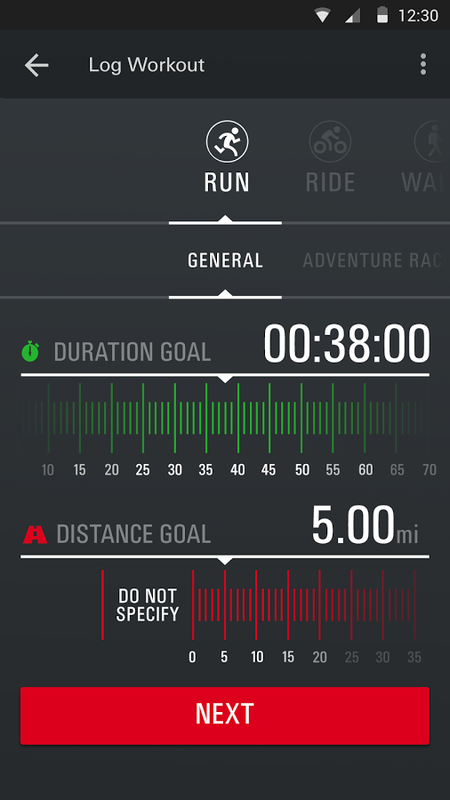 "UA Record provides you with a tailored roadmap to understand more about your body, fitness performance and health than ever before," said Robin Thurston, SVP, Connected Fitness, Under Armour. "Achieving your health and fitness goals is now possible on your own terms with a strong community behind you." Product updates are planned throughout the year. Each new feature will further enhance the platform's personalization and connectivity. Coming soon, members will have the ability to incorporate customized feedback and use personal in-app health assessments. To get connected, download the mobile app on the App Store or from the Google Play store. 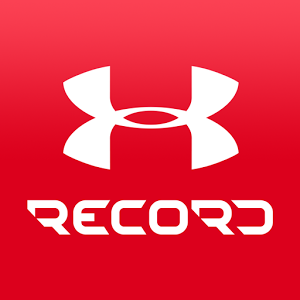 You can also visit record.underarmour.com to set up an account or log in with an existing MapMyFitness or Under Armour account.